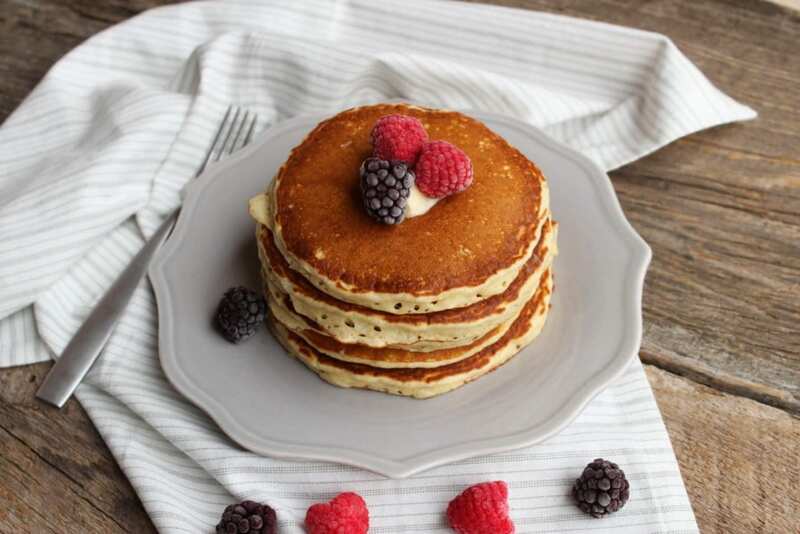 I know this recipe is a little out of the norm for me since I do try to post recipes along the healthier side, but I couldn’t pass up the opportunity to share this recipe for Easy Pancakes. I used to think that making homemade pancakes (from scratch) was so hard and so much work that I never even tried and always settled for the boxed brands that just needed water added. Then this Easy Pancake recipe came along and totally changed my life. 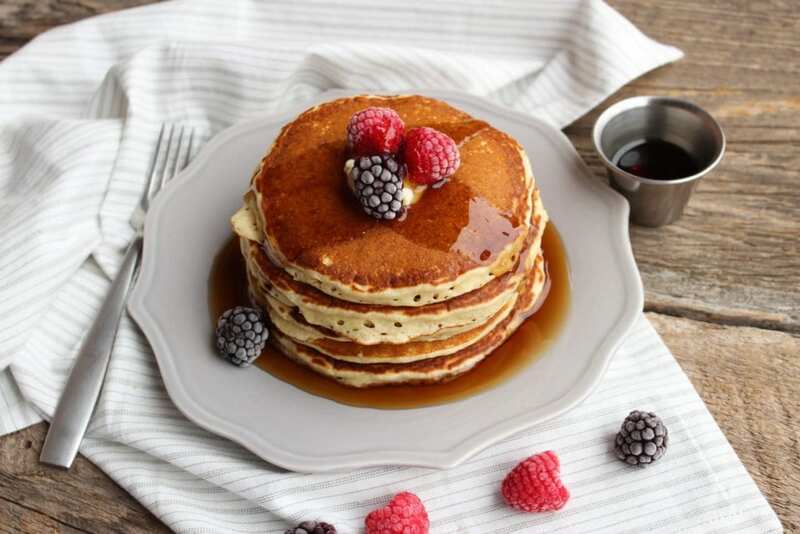 I will NEVER go back to the pre-boxed mixes and you won’t either after you see how delicious and easy these Easy Pancakes are to make! 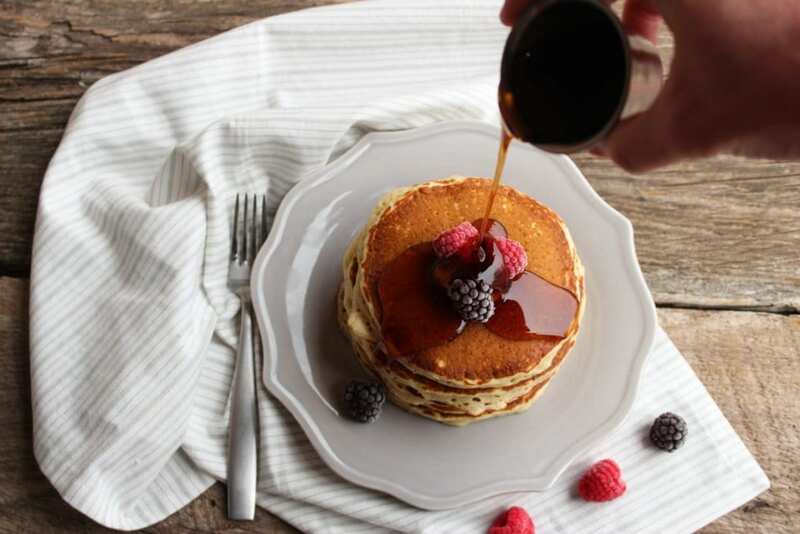 These Easy Pancakes also happen to be my husband’s favorite breakfast so I felt like this post was fitting right before Valentine’s Day. I make these every year usually for Valentine’s Day breakfast and Christmas Day breakfast as well. 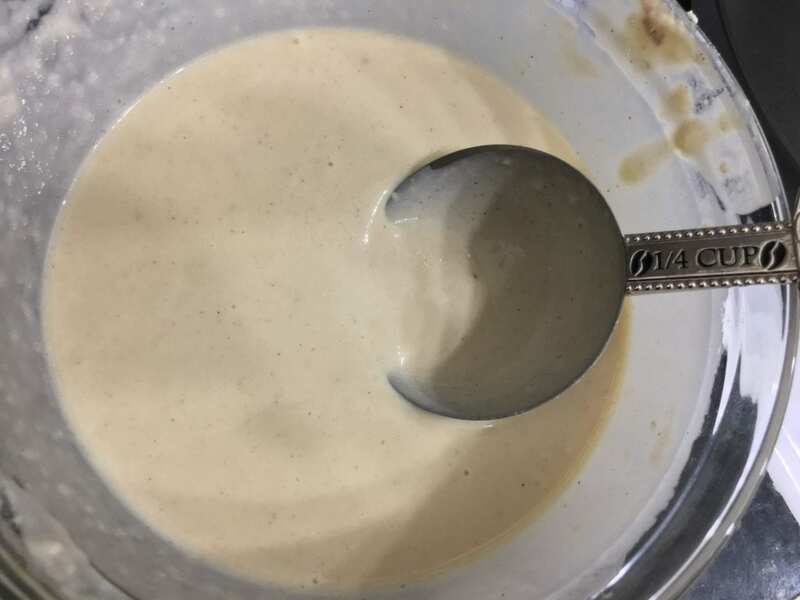 First, start out by placing three tablespoons of butter into a medium sized mixing bowl and melt in the microwave until liquefied. Don’t overheat the butter or it will explode in your microwave! haha! I may or may not have experienced this recently. A few seconds should be sufficient to melt the butter. 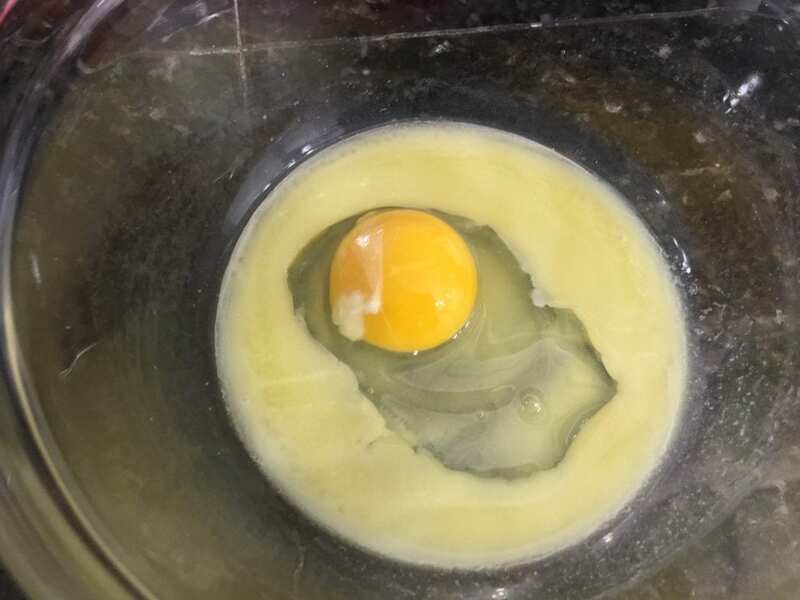 After the butter is melted, add in one egg. 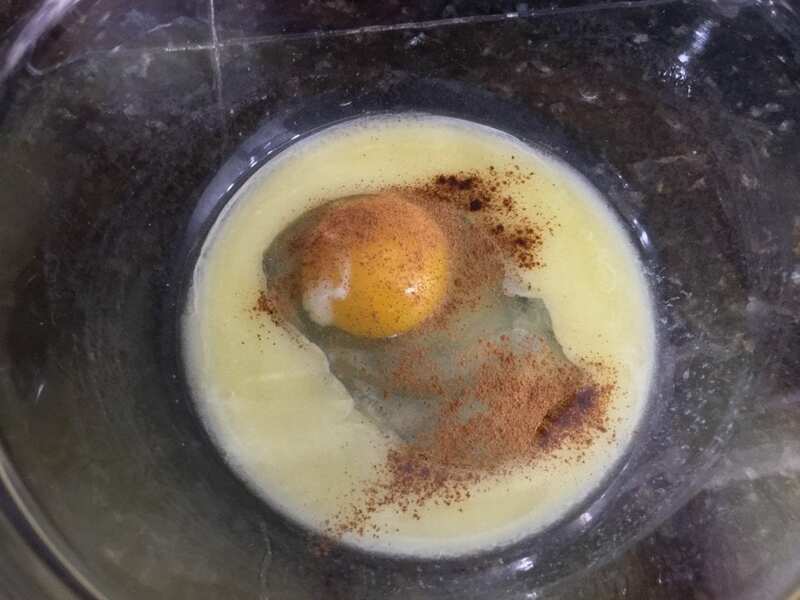 Once the egg has been added, add in some ground cinnamon. I add two dashes. Add in 1/4 teaspoon of salt and 2 1/2 teaspoons of baking soda. Add in one cup of milk. I used 2% milk but any grade of milk could be used, although fat free skim milk will make the batter slightly thinner and not as fluffy. Stir in 1/4 cup of granulated white sugar. 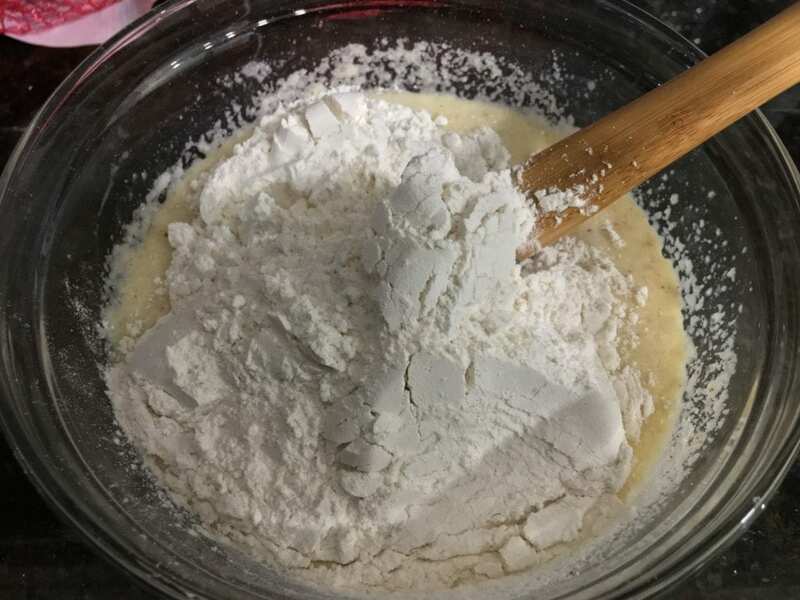 Carefully stir in 1 1/2 cups all purpose flour. 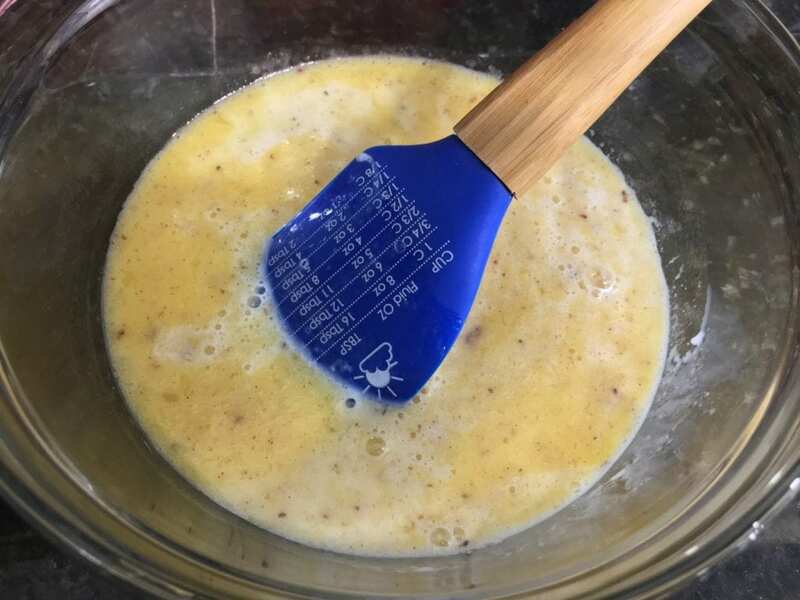 Whisk the pancake batter until it is completely smooth and no lumps remain, and then use a 1/4 measuring cup to scoop the pancake batter out and into a large, hot skillet. 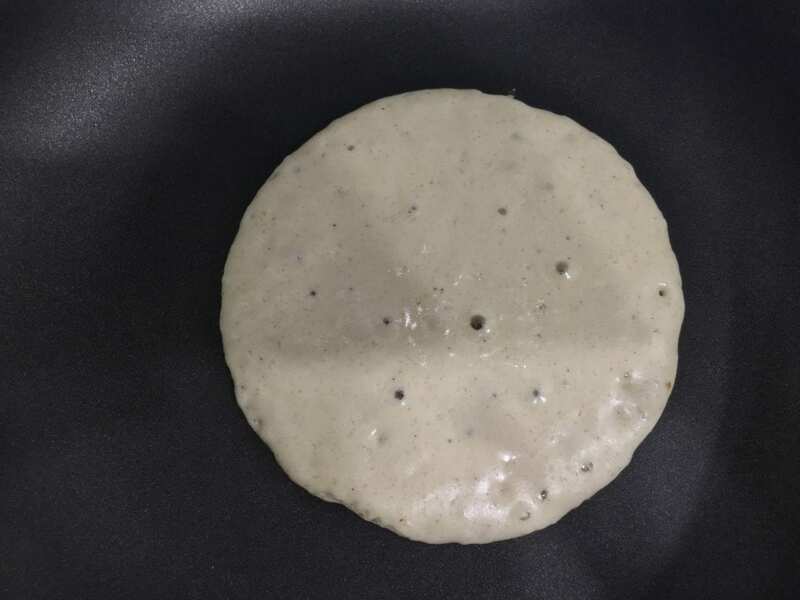 When you pour the pancake batter into the skillet, it will spread slightly as it begins to cook. I cook my pancakes on medium heat with the skillet already pre-heated. 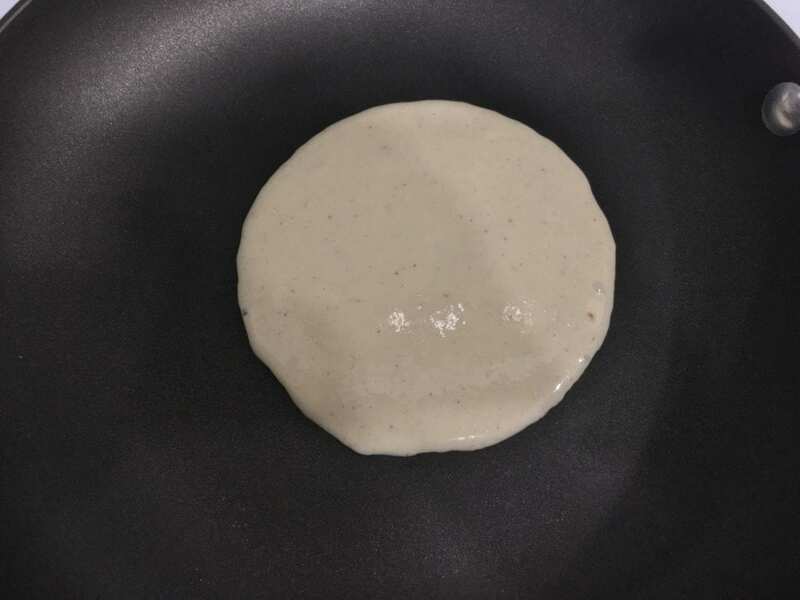 When the pancake batter starts to bubble in the middle and along the edges like this, you know the pancake is almost ready to flip over. Use a small spatula to gently work under the edge of the pancake to flip. Once the pancakes are bubbled and wrinkled along the edges, it is time to flip them over. 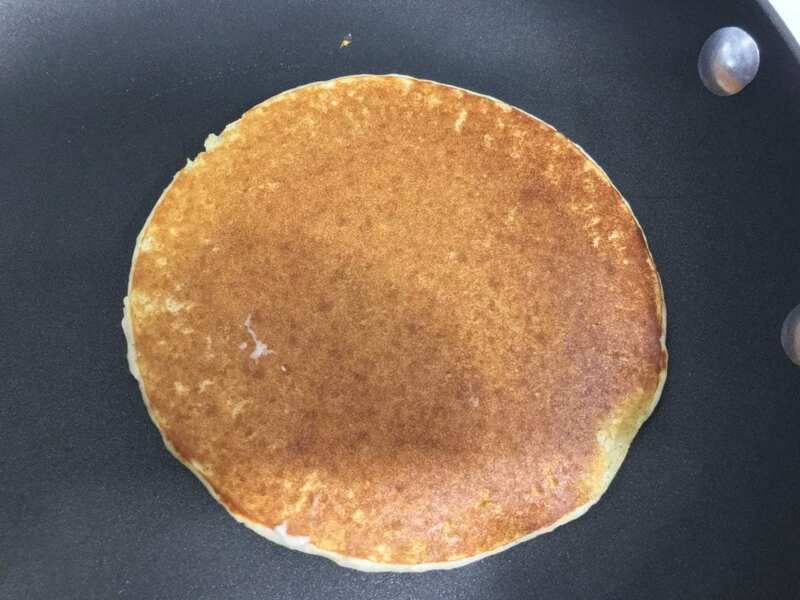 Look at that golden brown pancake! Allow the pancake to cook on the bottom (I never time this) for around 1-2 minutes, and then it should be cooked through and ready to eat! 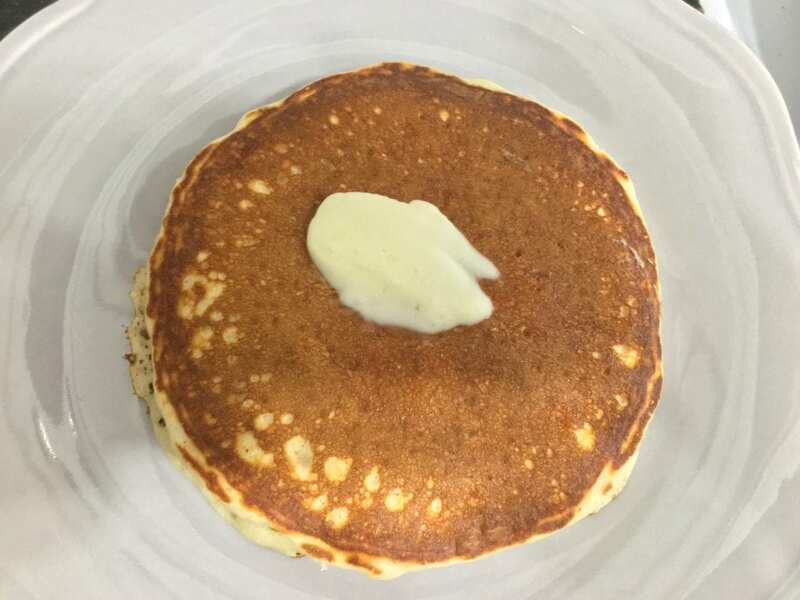 I like to top each pancake with butter as it comes out of the skillet. And that is it! You’re finished! Time to top these Easy Pancakes with any toppings you desire. I personally love peanut butter and syrup. 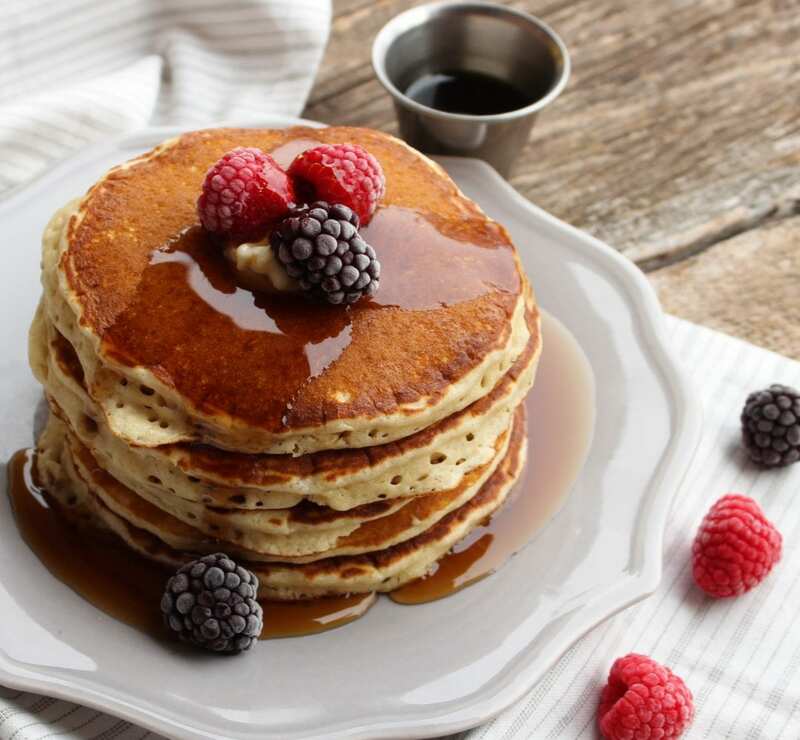 Does it get any better than a stack of hot, freshly buttered Easy Pancakes for breakfast?! I think not! 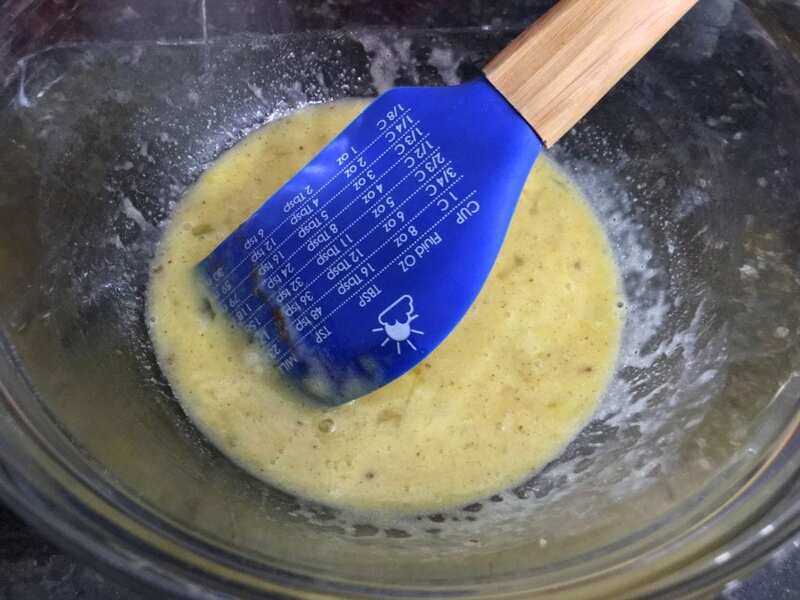 I hope you all enjoyed this recipe for Easy Pancakes! Warm, buttery pancakes made simple and delicious from scratch. 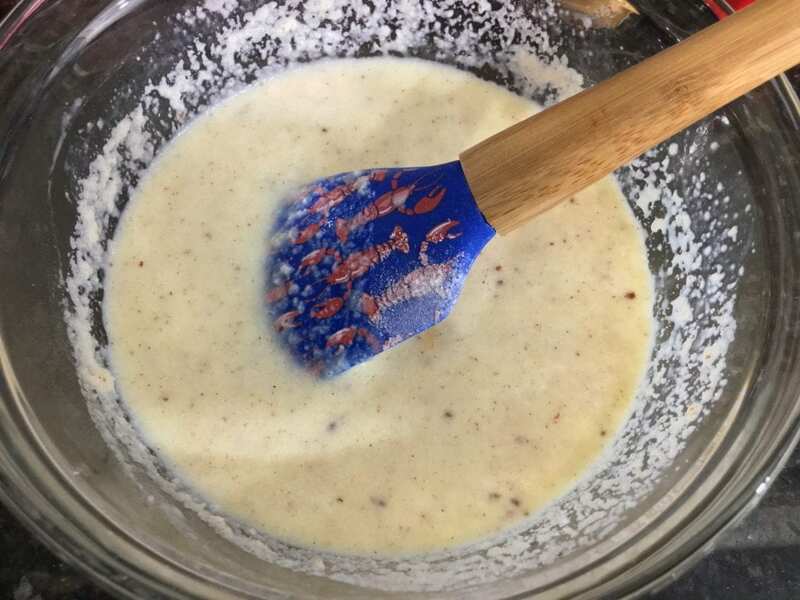 Combine all ingredients in a medium sized mixing bowl and whisk together until pancake batter is completely smooth and no lumps remain. Heat a large nonstick skillet on medium heat until hot. 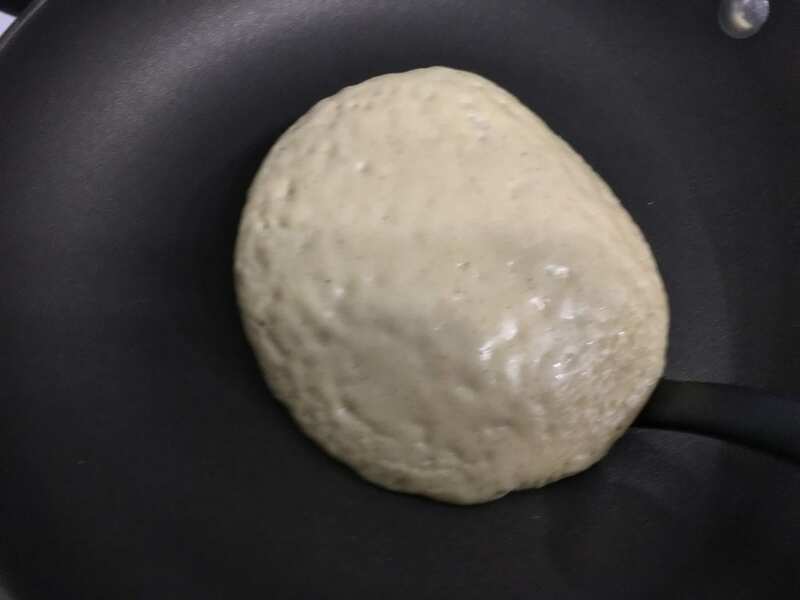 Cook the pancake on medium heat and wait until the top of the pancake shows bubbles and looks wrinkled. Work a small spatula under the edges of the pancake and gently flip over. 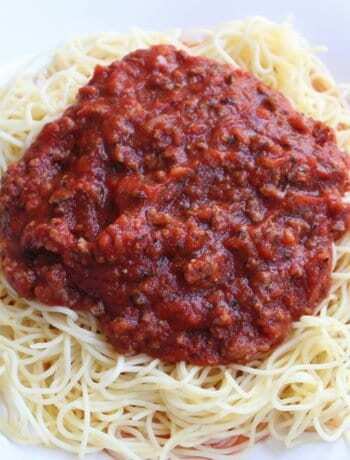 Cook the opposite side for 1-2 minutes, remove from the skillet, and immediately top with butter. 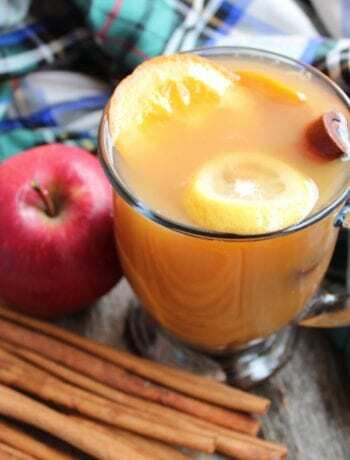 These look really good. I made pancakes this morning for my family with a similar recipe. Yours sounds great. 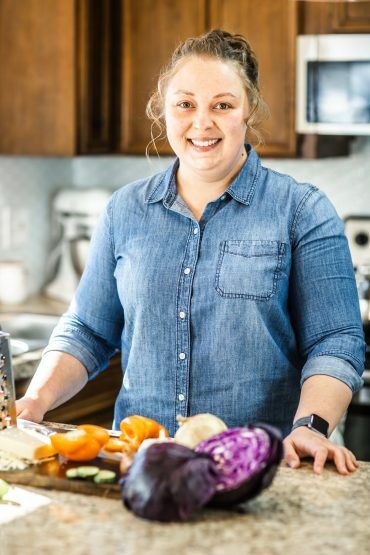 I’m visiting from Meal Plan Monday link up party. I am wondering if the 2 1/2 teaspoons of SODA should be baking powder? I have never seen this much soda with regular milk instead of buttermilk. Will it make the pancakes turn an off color and taste of soda? I hope you can answer my question. No, it is baking soda. 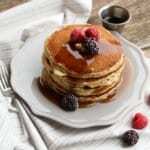 The baking soda combined with the salt does the same thing that baking powder would do – it causes the pancakes to rise. Thank you for the questions Wanda! I’ve been making these pancakes for at least 5 years and have never had them turn a strange color or taste of baking soda. I hope that helps! 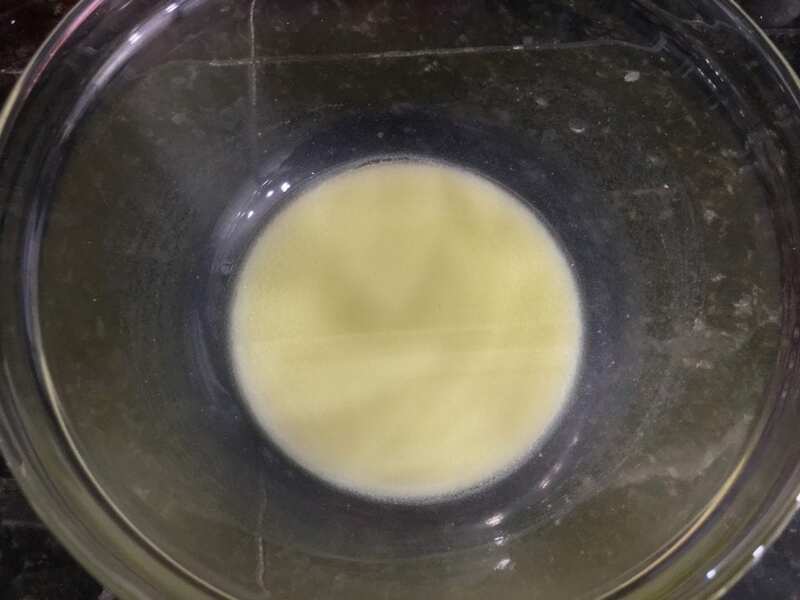 You can use buttermilk if you prefer, I have used both buttermilk and regular milk and they both come out great! We prefer the regular milk. Thanks for the answer. Much appreciated! I will try them soon. You’re welcome! If you have any more questions, don’t hesitate to ask! Would it matter if you use salted butter instead of unsalted in this recipe? 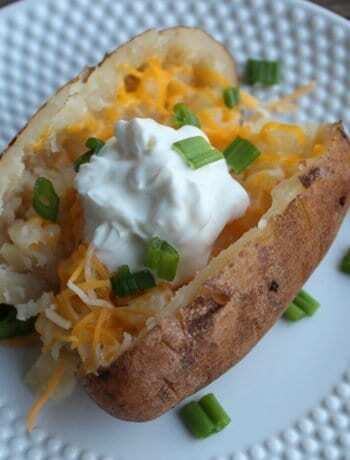 I recommend using unsalted butter since this recipe uses salt and baking soda. I don’t think it will be a great difference, but salted butter may make the pancakes slightly salty.